Do you cabinets need a face lift? 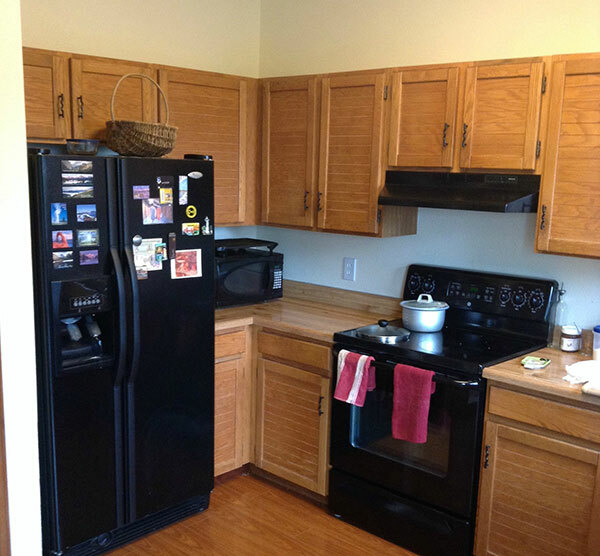 Consider cabinet painting or cabinet refinishing by Tall Pines Painting. 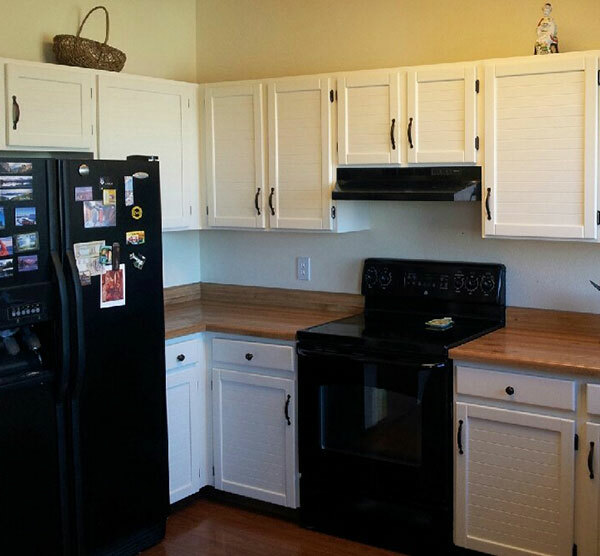 Refinishing your kitchen cabinets is by far the most economical way to update your kitchen. This is a great option for homeowners who like the style and layout of their cabinets, but don't like color or finish. Tall Pines Painting can apply paints, stains and glazes to create a custom finish in your preferred color choice. The most popular painted cabinets are generally shades of white or off-white; however, you can choose any color you like. We first remove all hardware and mask off areas not to be painted. To prepare kitchen cabinets for primer, we clean, lightly sand and de-gloss all surfaces. After preparation work is completed, we apply 1-2 coats of primer, followed by 2-4 coats of pigmented polyurethane. Pigmented Polyurethane can be matched to any color and is much more durable than paint. The exposed frame is painted in place and doors and drawers are spray painted in a closed off area. Generally it takes 3 - 5 days to complete a cabinet painting project. This will vary on your kitchen size and the number of cabinets being painted. We offer the following Cabinet Refinishing options.